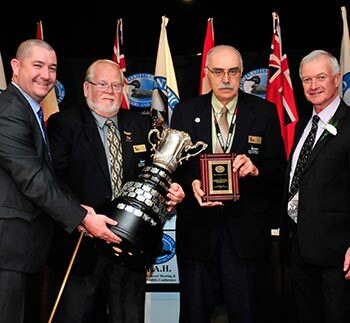 For the fourth time over the past 57 years, the Barrie District Anglers & Hunters Conservation Club has won the Mary Pickford Trophy. In 2016, with the help of the Rotary Club of Barrie, they were able to purchase and plant 10,000 trees throughout the club’s 247 acres of land. The Youth Program planted an additional 150 trees. Along with spending over 160 man-hours working on deer feeders, duck boxes, bat boxes, bird feeders, and mineral blocks, they also organized numerous conservation events.The club spent countless hours working on stream improvements on Aunt Maggie’sCreek that helps improve Brown Trout and Speckle Trout habitats.They helped with the Rotary Fish Festival, Teach-a-Kid Fishing Day, a Scout Biathlon and a Pitch-In clean-up day and continue to be committed to conservation in Barrie and the surrounding area.